Vancouver, British Columbia: Hello Pal International Inc. (“Hello Pal” or the “Company”), provider of rapidly growing international social messaging, travel and language learning applications, is pleased to announce the release of version 3.1. of the Hello Pal app. Hello Pal version 3.1 allows for users to sign in or register using their WeChat or QQ account. 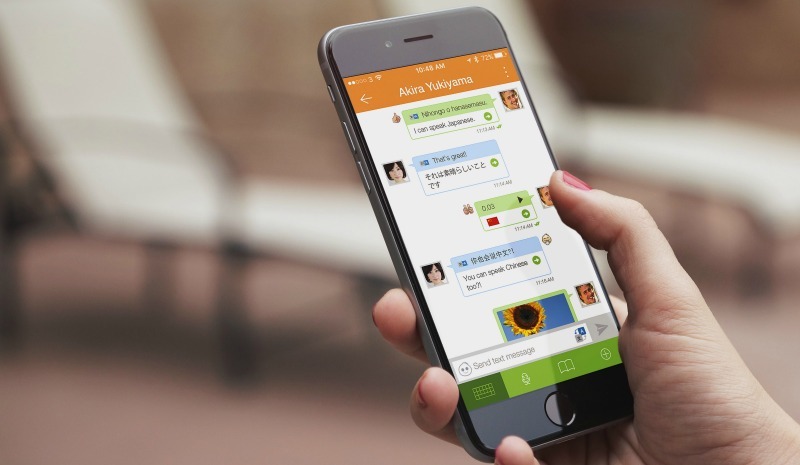 This feature is particularly important for users in Asia (especially in China) where WeChat and QQ are amongst the most popular instant messenger platforms, with over 700 million and 800 million monthly active users respectively across the world. The Company expects that WeChat and QQ sign on will streamline the user registration process, ultimately increasing signup rates and engagement. The Company expects that although the Travel Pal social travel app will be launched before the end of the year, through the notification platform, Hello Pal users will have an opportunity to create their travel-related profiles ahead of time. “This is the first step in our unique strategy of launching companion apps that focus more specifically on our user’s interests. Each app will launch with an immediate active user base and allow us to focus the marketing efforts of each companion app to a more targeted demographic. I am very proud of our team’s efforts in moving this strategy forward so quickly as shown by an early launch of Travel Pal,” said KL Wong, founder and CEO of Hello Pal. This latest Hello Pal update also allows users to share and search by interests to find new pals who like the same things. The Company expects that interest-based search, along with its continued efforts to allow users to easily share information with others, will further add to user activity, increased user engagement and retention. The Company’s expanding platform will inform and shape Hello Pal’s ability to introduce monetization features in the near future. The notification feature is the beginning of such initiatives. The Company and its founders are encouraged by the success experienced by apps such as MoMo (NASDAQ: MOMO). MoMo, a Chinese, location base socialization app, continues to be well received by both its users and investors. MoMo achieved profitability quite rapidly and Hello Pal plans to emulate certain successful MoMo features in its development strategy. Hello Pal is excited about the growth potential of our evolving family of apps, and a multitude of monetization strategies, including advertising and sponsorship. The Company has also recently added an Arabic phrasebook to meet the increase in registered users from the Middle East, thereby allowing global users to more easily communicate with Middle East users in Arabic. Language phrasebooks can also be downloaded as separate apps at the IOS and Android stores. For information with respect to the Company or the contents of this news release, please contact Ryan Johnson, Corporate Development at (604) 683-0911 or visit the website at hellopal.com. Email inquiries can be directed to: investors@hellopal.com. To view the Company’s investor presentation please visit investor.hellopal.com. Try Hello Pal for iOS and Android.